If you invited other persons for a Phone-Call, these will show up in the "Pending"-Tab. You will receive a Push-Notification when the other person responds to your invitation (similar as in Microsoft Outlook). 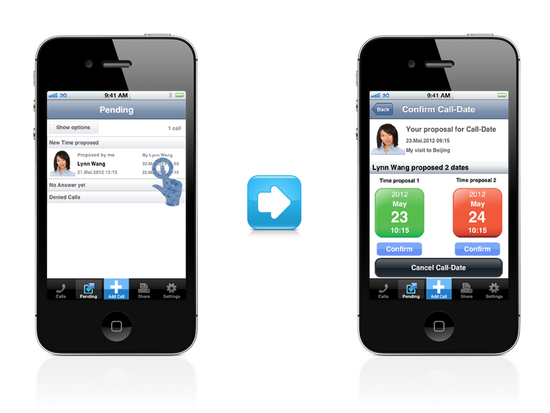 On the "Pending"-Tab you just tap on the respective Call and you can then view and confirm the proposed date & time.